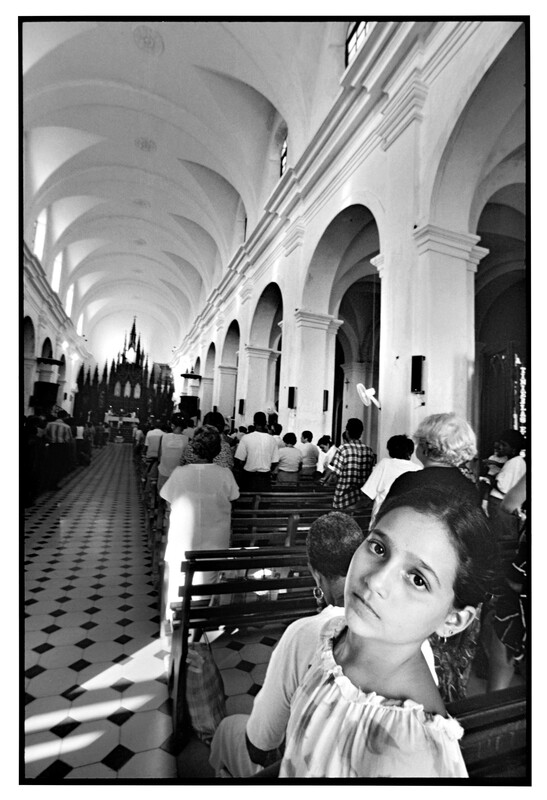 As a young American photographer, Anna Mia Davidson questioned the morality of the Cuban embargo. 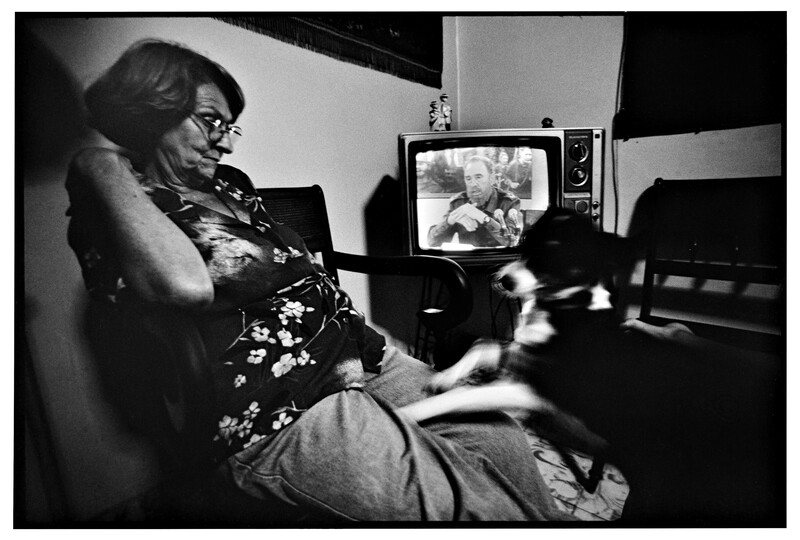 She found a way to enter the country legally in 1999, to document the transformation occurring after the end of the “Special Period” — the prolonged economic crisis after cooperation imploded between Cuba and the petroleum-rich Soviet Union. She returned to the island nation many times over the course of ten years, witnessing the cultural and economic recovery of the Cuban people. 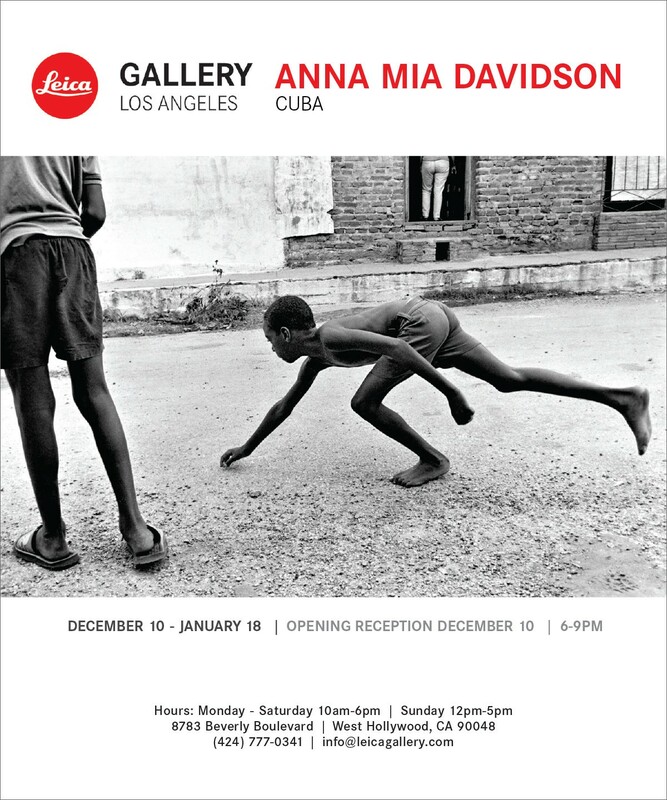 Her new exhibition will open in Los Angeles’ Leica Gallery on December 10. For Polarr, Emily von Hoffmann spoke with Anna about her work. Emily von Hoffmann: Can you tell us more about your upcoming exhibition? 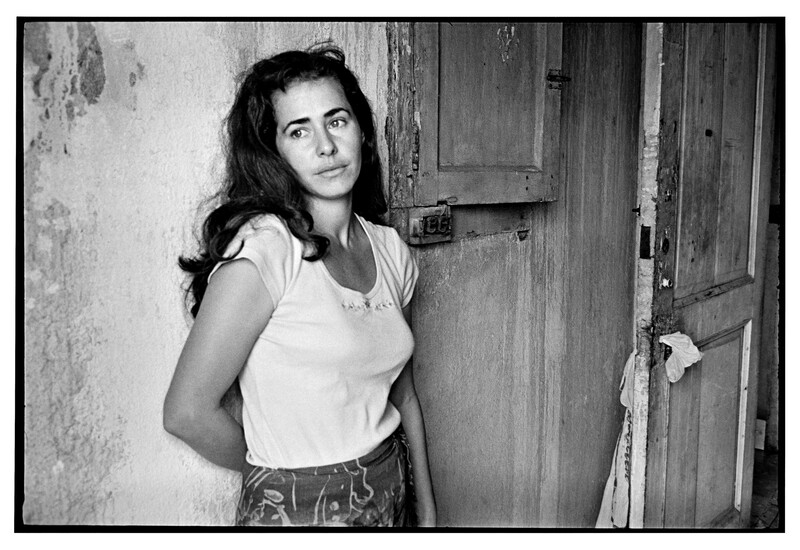 Anna Mia Davidson: Cuba Black And White will be open at the Leica Gallery from Dec 10-Jan 18, encompassing almost a decade of black and white photographs from a personal photographic project documenting the island nation at the end of the “special period,” through my own eyes as a young woman. Image courtesy of Anna Mia Davidson. EvH: You made your first trip to Cuba when you were in your twenties — can you tell us a little about that trip? How were you able to travel there in 1999? AMD: In 1999 I had a vision to leave my 9–5 job as a social worker and pick up my camera in hopes to create social change in our country. The embargo had been on my radar as unjust and I wanted to see through my own eyes what the country of Cuba was like beyond the little information and images I was seeing through mainstream media. 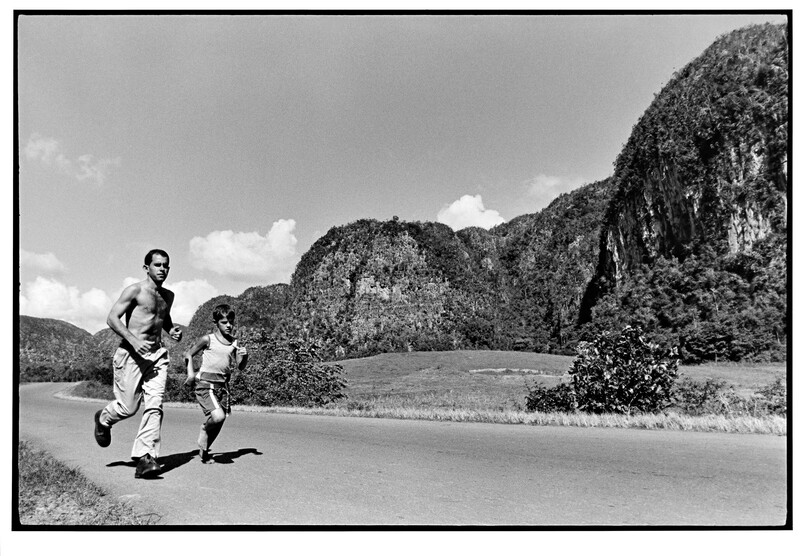 At the time there was a de facto embargo on information and images about the real Cuba, the Cuba beyond the cliche and I wanted to see for myself. To document and bear witness. 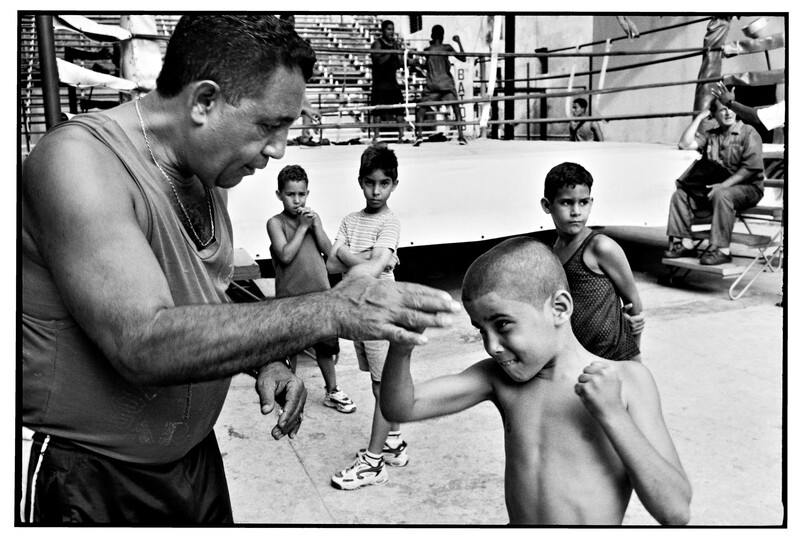 I connected with the Maine Photographic Workshops, who were conducting their first ever workshop with both Cuban and American photographers. It was initially a way to go legally. 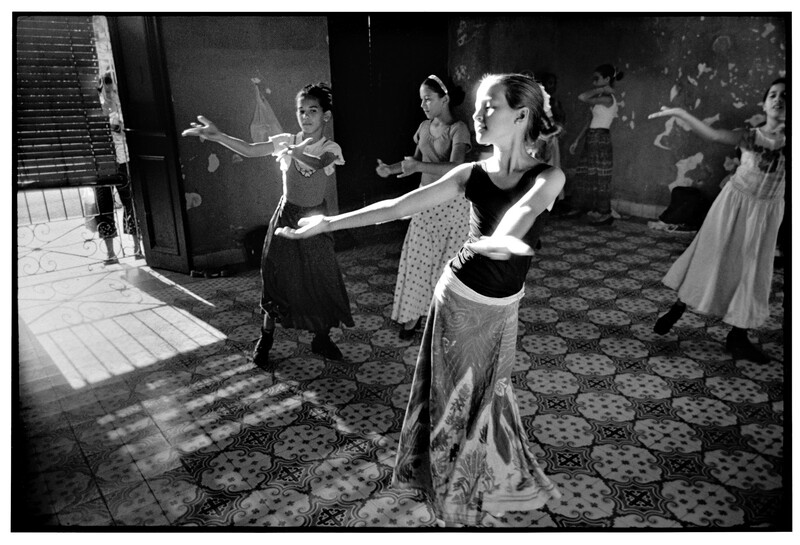 I had the privilege of taking a workshop with David Alan Harvey with a small intimate group of photographers half of whom were young Cuban photographers who lived in Havana and would become my dear friends over many years and who have since become important Cuban voices and eyes as artists from within their home country. 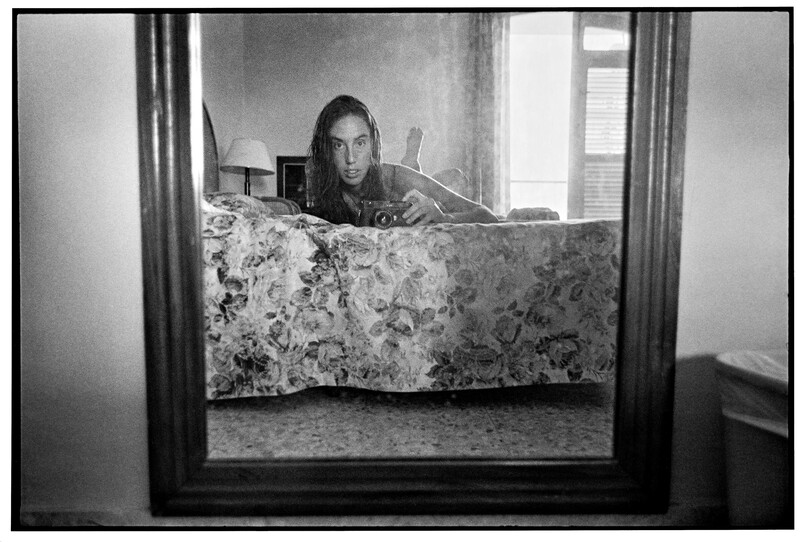 It was a magical time for us all as young photographers to get to know each other and build life long friendships. We shared a passion for photography, and a common hunger for knowing about each other, our differences, and celebrating our commonalities in a shared sense of humanity. I was inspired by them and could appreciate their introspection of their own struggles. My work was greatly influenced by the truths they shared with me deep thoughts and perspectives. My friendships with them and the depth of knowing one another helped shape the lens in which I looked through. After the workshop ended I extended my visa and stayed two more months traveling alone around the country. It was then that I embarked on what would become a decade of many trips back and forth to work on this project. The following year I was hired by the Maine Photographic Workshops to assist all their workshops for two months. I soaked up inspiration and guidance from some of the great Cuban Photographers Alberto Korda, Raul Corrales, and assisted teaching along side some of the great American photographers David Alan Harvey, Costas Manos, Alex Web… I again extended my visa after the workshops had left and stayed four months focused on photographing. 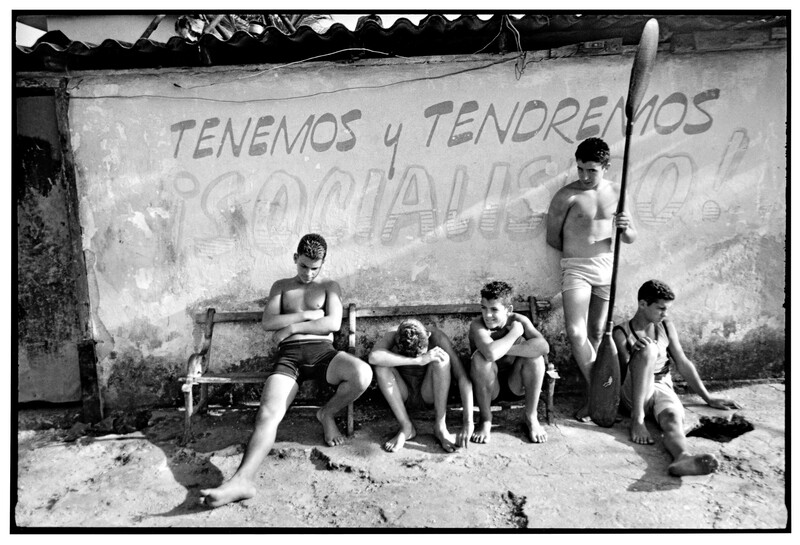 By this second trip I had established a tight community of Cuban friends and a network of familiarity to the culture. I was let in and welcomed in an intimate way into the lives of the people both whom I knew and whom I didn’t know. I traveled without purpose other than to capture what I saw in an honest way. To shed light on a realness I felt needed to be seen. Many subsequent trips over the decade I ventured out without the umbrella of the workshops. Just me and my camera. EvH: What was the “Special Period” in Cuba’s history, and how did it’s end affect the everyday life of Cubans? AMD: The Special Period in Cuba was an extended period of economic crisis that began in 1989 primarily due to the dissolution of the Soviet Union and, by extension, the Comecon. The economic depression of the Special Period was at its most severe in the early to mid-1990s before slightly declining in severity towards the end of the decade. It was defined primarily by the severe shortages of hydrocarbon energy resources in the form of gasoline, diesel, and other petroleum derivatives that occurred upon the implosion of economic agreements between the petroleum-rich Soviet-Union and Cuba. The period radically transformed Cuban society and the economy, as it necessitated the successful introduction of sustainable agriculture, decreased use of automobiles, and overhauled industry, health, and diet countrywide. People were forced to live without many goods and basic needs they had become used to. The slow end to this special period affected the every day life of the Cuban people as they were slowly able to have more access to food and basic needs. For my generation the end of the special period meant the beginning of dreaming and waiting for a change to come. What that change would be and what it would allow for was uncertain. But the hope of having more to life was rising. When there is a struggle to meet basic needs, dreams and hope begin to fade, but as the special period came to an end those hopes and dreams could slowly come back again. Then people began waiting for a political change. EvH: When you began the project, what sorts of things were you most curious about learning or representing in your work? 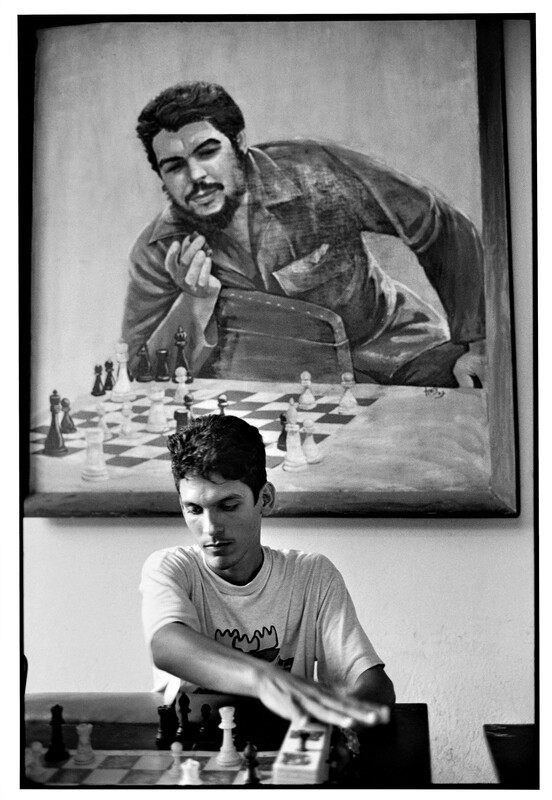 AMD: As a young activist, I questioned the morality of the US embargo against Cuba. I was eager to find the positive in a country that I was forbidden to travel to by my government. Cuba is an intoxicating and perplexing country. I fell deeply in love with the people, particularly their spirit of perseverance and their ingenuity when confronting profound adversity. 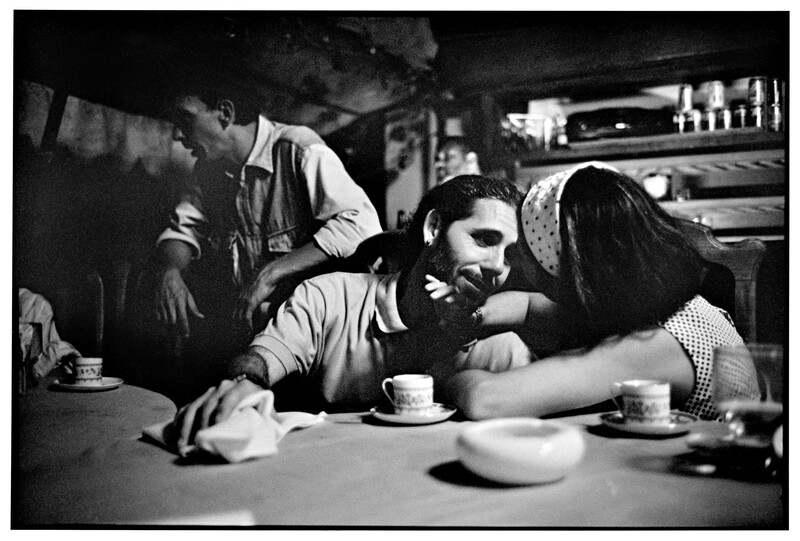 It was ultimately within the shadows that I found Cuba’s dichotomies in all their beautiful and trying complexities. My imagery is a personal exploration of humanity through the lens of a young woman activist. They are personal to my journey yet universal in our ability to relate on a human level. EvH: You have also said that you wanted to focus on the “positive aspects of Cuban society.” Can you talk a little more about how you arrived at this goal, and how it shaped your experience of looking for subjects? 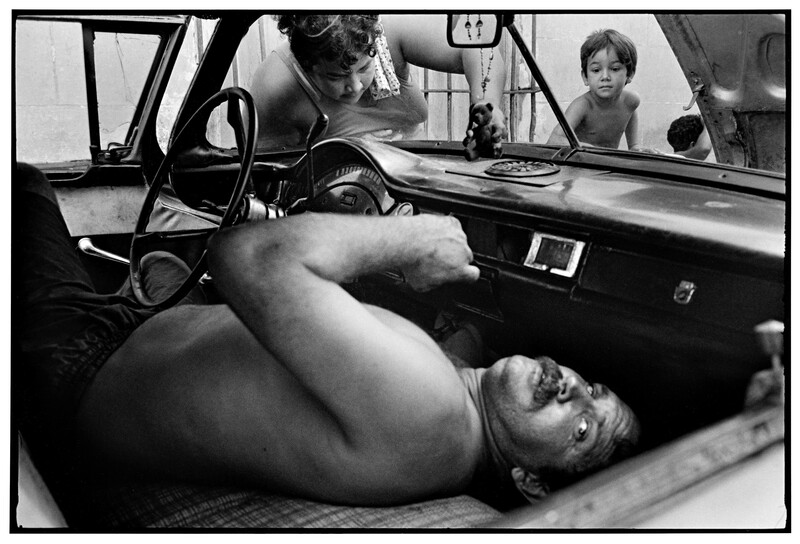 AMD: Although I started my photographic journey in search of the positive that surpassed the stereotypes, I left my mind open to take in what I was seeing and what I was hearing from Cubans that I became friends with and trusted. While I am part of many moments that show me the positive remnants of Castro’s vision, I also feel that Cuba is changing. I see even more clearly how important it is to document and witness the elements of a society that will inevitably change in the upcoming years. Quite a day of nothingness. Yet again I experienced Cuban bureaucracy and my quest for the positive only showed me the negative. So even though I was in search of the positive, I encountered many moments that caused me to shift my thinking at times. But where I never wavered is that what rose to the visual surface for me was the spirit and resilience of the Cuban people. It’s within those movements of life that I find beauty. 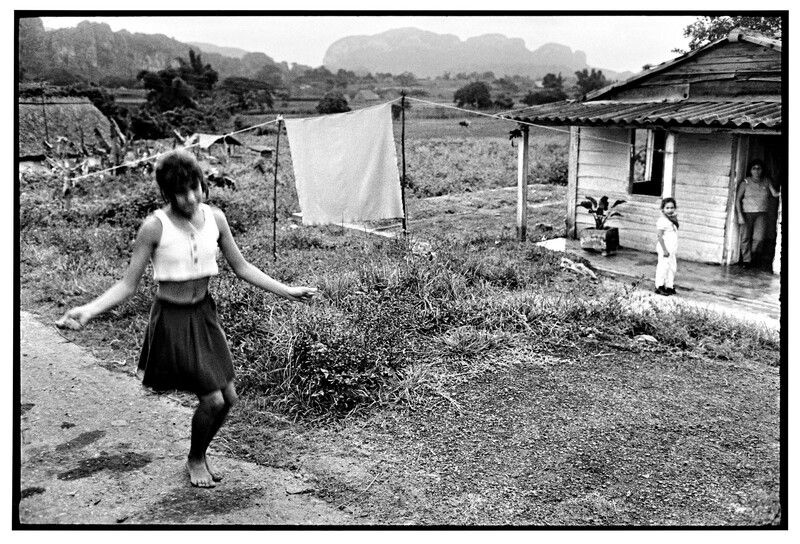 EvH: Because real images of Cuba are relatively sparse, at least to viewers in the U.S., it seems like opportunities for fresh subject matter abound. I’m particularly interested in the Maternity series — did you spend much time with the women pictured? What sort of personal relationships were you able to establish during your work? AMD: The Maternity series came from my attraction to the maternity centers which exist throughout the island. 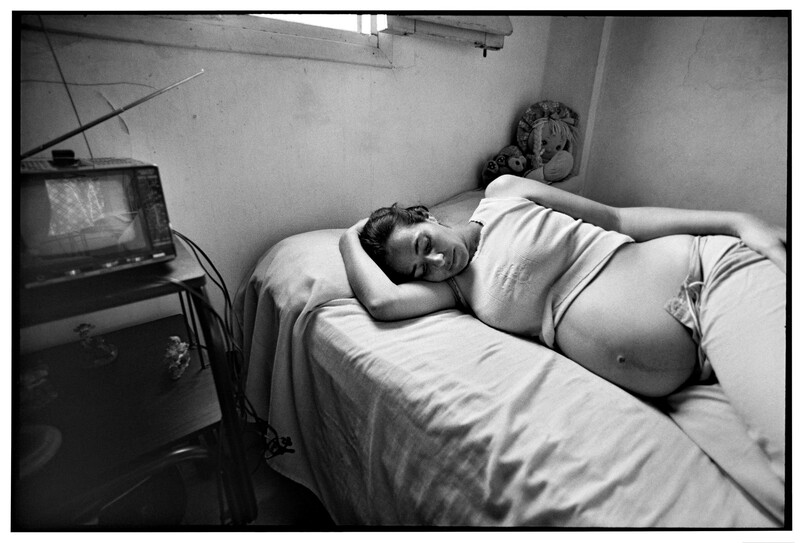 The maternity centers were a perfect microcosm of Cuba, a nation in waiting, waiting for a change, a birth of the unknown, a rebirth. 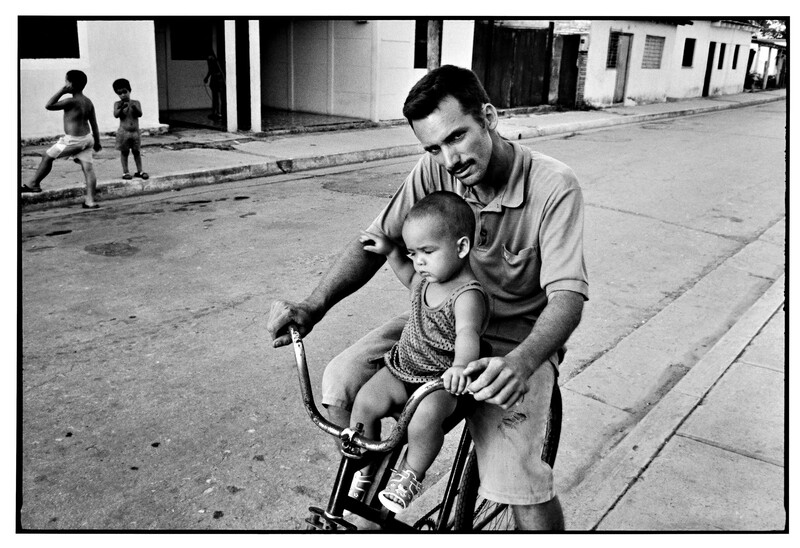 Cuba has one of the lowest infant mortality rates in the world. This fact had me curious and when I came upon a maternity center, I learned that they are the first on the island along with AIDS patients to receive food and medical care. Population growth is imperative to a country who experiences extreme population loss. The first maternity center I found was in a small town, I passed by and was drawn to it. I talked to the women rocking in chairs on the front porch. We became friends and I came back the next day to visit. I brought some food to share. I asked to come in and photograph and was welcomed. I then looked for maternity centers wherever I went. I was also let into a maternity hospital with a friend who’s sister had just given birth. I went with her to visit the baby. It was through sincere friendship that I gained access not typically given to outsiders. One memorable day was at a maternity center in Trinidad where I spent several days returning to spend time with the women. One woman said she had worked on a tourist beach braiding hair for a living, she said she missed it and asked if she could braid my hair for fun. So as not to offend I agreed, it was a nice way to lounge around casually with the women and be part of their group, to chat and exchange stories of life and love, little did I know how long it would take or how painful it would be. By the end of the day I had taken many intimate photographs and had a head full of hundreds of tiny braids (It later took a friend one painful hour to undo all that work). My attraction to the maternity centers started way back in 1999, before I myself would know what it was like to be pregnant or expect a child. My intuition was in tune however to what those centers represented and how important the images created within them became to my work on the whole. EvH: Your other projects have also centered on specific communities, in your “Farm,” project and your work in Ukraine. What are some techniques you’ve learned when documenting these distinct communities and trying to present them in all their complexity? AMD: I am drawn to cultures and communities on the brink of change. My interest in Ukrainian mountain villages stemmed from an interest in pockets of cultures that will eventually no longer remain stuck in time, there was the dynamic of a country once supported by Russia but no longer. And the reality of people having lived in fear under communism but were just coming out of that bleak era. I wanted to bear witness. In the case of the farm imagery, it has been my focus to concentrate on what the sustainable framing community feels like, and how it looks to be truly sustainable. In direct response to the grim facts of climate change and the detrimental impacts of global industrialized farming practices. My search for the positive stems from my greater understanding of the issues facing our world today. My hope is that through positive imagery, through capturing the brilliance of the human spirit that somehow we can inspire, almost hoping that somehow to see images of sustainable farmers will become contagious and more people will be inspired to see that as one possible solution. I always hope that the topics of my work can provide fodder for dialogue and discussion. Self-portrait. Image courtesy of Anna Mia Davidson. Many of the farmer portraits have been enlarged as ten foot public arts billboards in major cities like New York, London and Seattle. 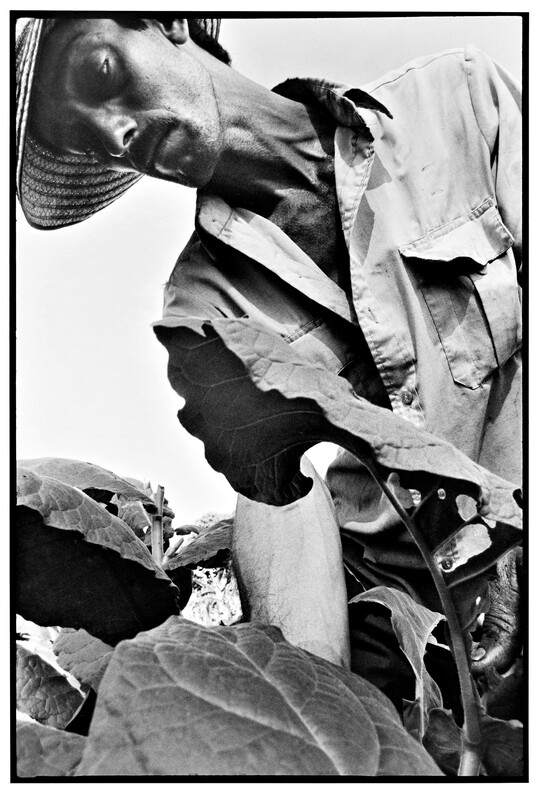 There is something breathtaking about seeing a larger than life size portrait of a rugged sustainable farmer in an urban environment. There is something hopeful about it, like humanity is still alive. EvH: You’ve won many awards for your photography — can you tell us about some of your favorite images from over the course of your career, from any project, and the situation surrounding them? Who or what are some individual subjects that stand out most in your memory? AMD: It really is hard to pick a few favorite images. It’s like picking a favorite of your children, you just can’t pick one, you are attracted to different qualities about each individual one and together they create a whole. 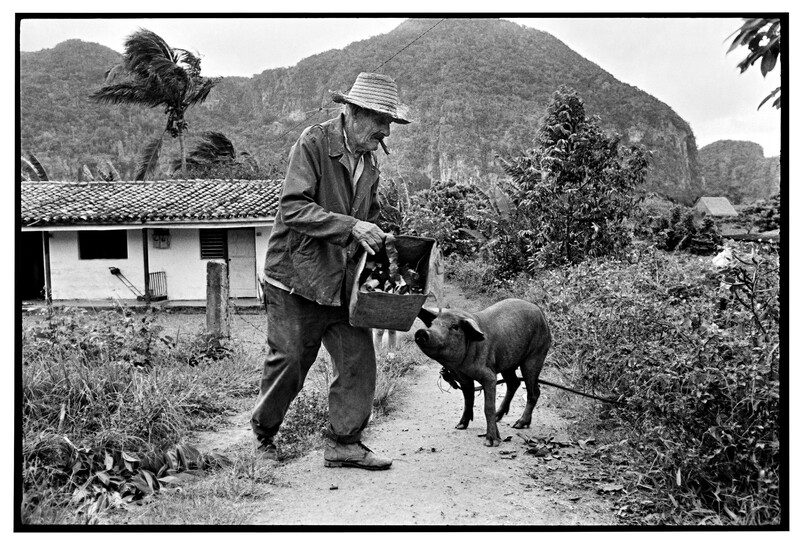 If I had to pick a few of my favorite images they have been from both Cuba and the Farm project. 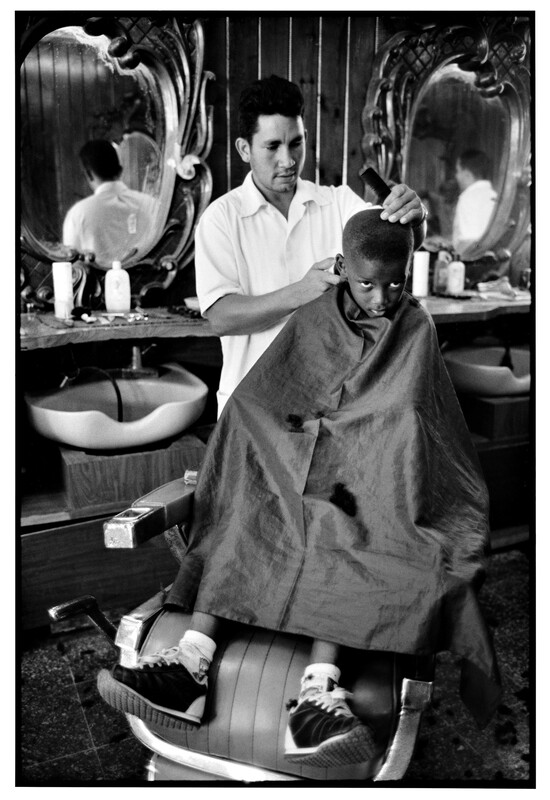 Both bodies of work were created over very long periods of time, sprang out of my own passion for the subject matter where I built many special connections to the people and communities I photographed. 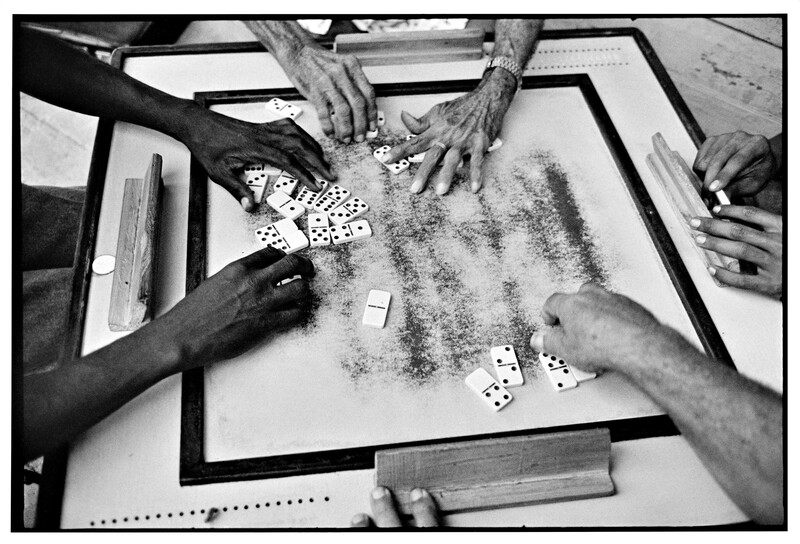 When editing The Cuba images for my book Cuba Black and White I was struck by how it felt like re-visiting old dear friends to look through the hundreds of contact sheets. It had been many years since I set that body of work aside and waited for it’s time to be out in the world. 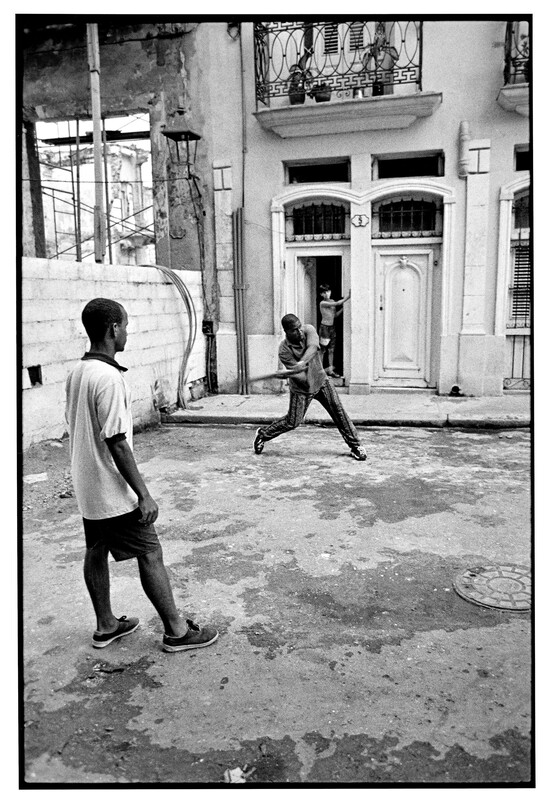 If I must select a few of my favorites they would be “Boy With Marbles” taken on the streets of Trinidad, Cuba. A marble game I was attracted to because of how graceful the boy was playing it. 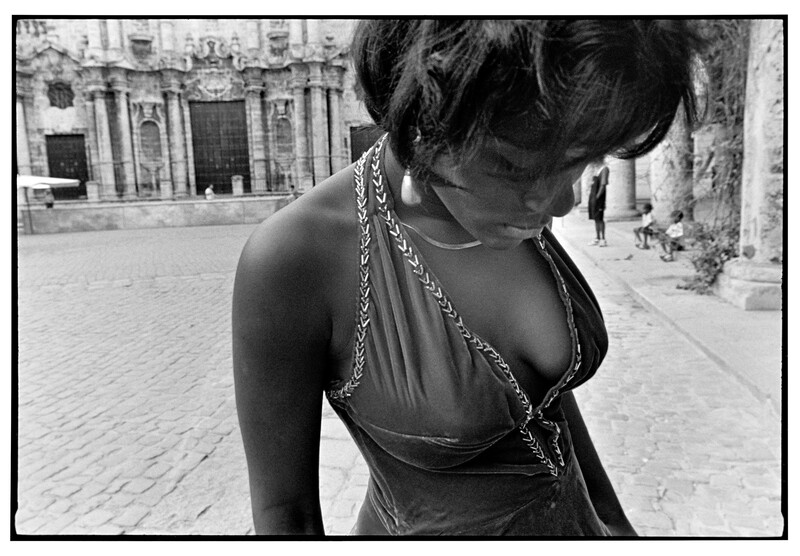 I am attracted to human form in much of my Cuban work. I used to be a dancer growing up and am attracted to grace and the many beautiful forms the human body can take. 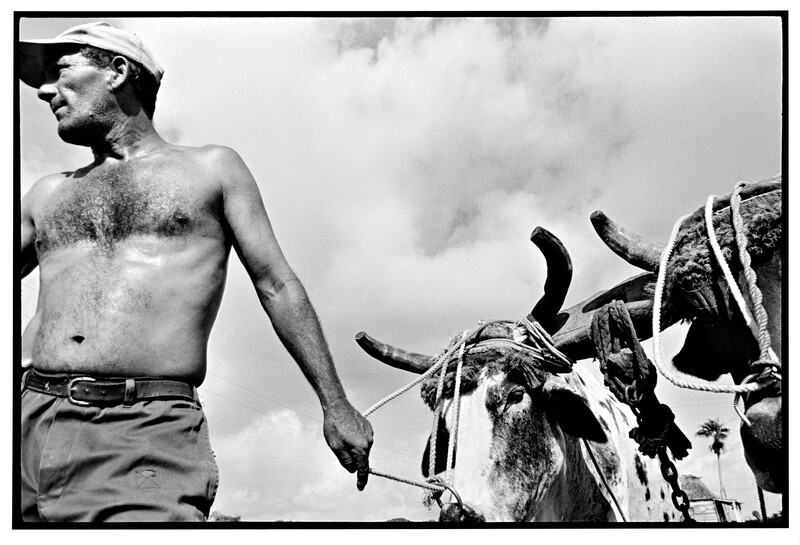 Cubans are incredibly graceful people and this image really embodies that spirit for me. 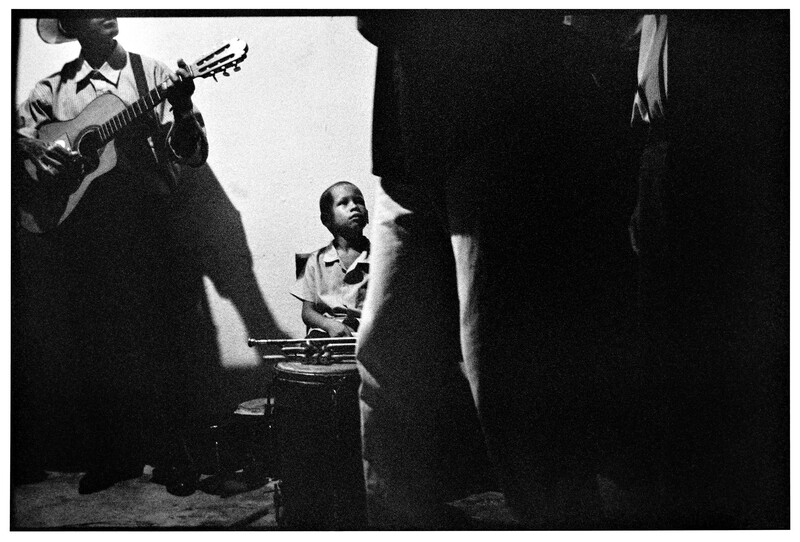 “Morning Song” is also one of my favorites as it embodies the feeling of the streets of Cuba for me. “Ishmael In Love” Is also an image that I really connect with. Finding moments of passion amongst struggle is profound and beautiful and helps restore faith in humanity. Passionate love can transcend all and brings a sense of hope. 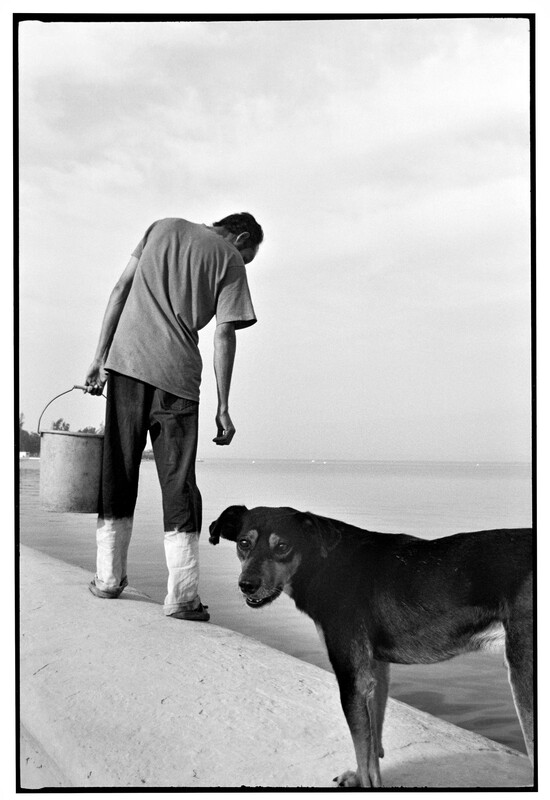 A few of my favorite images from the Farm body of work are “Oliva With Chicken”, taken at Frogsong Farm. I had photographed Oliva over several years and this picture in particular embodies something soulful about growing up on a sustainable farm and the connection to the animals she is helping to raise. “John at Dusk” taken at Nature’s Last Stand Farm is also a very special image to me. It is the cover of my book Human Nature. The day I took that image I was actually focussed on photographing another farmer on that farm. I had brought portable strobe lights and a tripod and was trying something a bit different with my work then I typically do. I had just finished the shoot and walked back over to where the rest of my gear was and was just about to wind the film and call it a day when I looked up and saw John who had just jumped off his tractor. I had a few frames left on the film roll, it was dusk, little light left of the day, he turned around and I said stay right there. I walked towards him and with every ounce of his being, as tired and dirty as he was when he turned towards me he had the look of pride and determination, the look of someone who had just given his all to something he believed in and for that moment we were feeling it, the whole message, the whole meaning of what he does, what Sustainable farming is all about and what my photographic work is trying to conveigh. There are those moments as a photographer where it feels like at the same moment that you are looking through the lens into the depth of the soul of your subject, they are looking back at you through the lens, through your eye into your very soul of what you are trying to say, what you stand for, you understand each other for that brief instant. Anna Mia Davidson is a Seattle-based photographer. You can visit her website here.